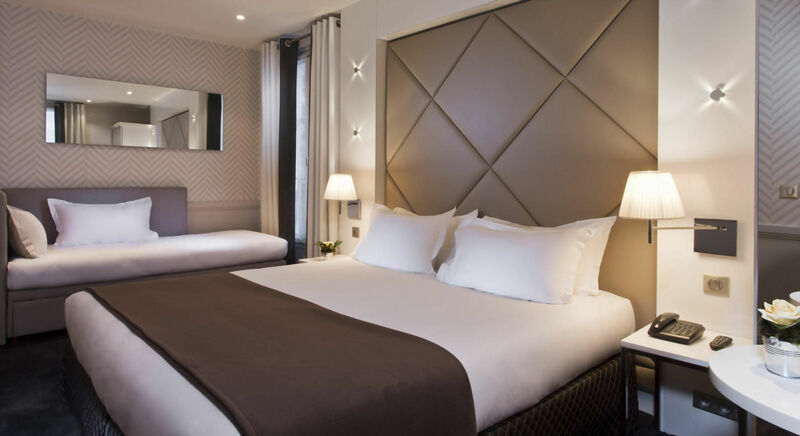 The Longchamp Elysées hotel is a very attractive, 3-star designer hotel; it is ideally located in the centre of Paris, next to Trocadéro Square and within easy walking distance of the Eiffel Tower and the renowned Champs-Elysées. The hotel was completely refurbished in 2013 and offers a successful blend of elegance, comfort and refinement within a truly relaxing atmosphere. Our soundproofed and air-conditioned rooms are well appointed with LCD television and free Wi-Fi, making them ideal for leisure and business travellers.